Sadly in good old Blighty the sun doesn't shine as much as I'd like, and as I don't do sunbeds and spray tans, I favour faking it from a bottle, or in this case, a can. Fake tanning can be quite the commitment what with exfoliating, moisturising and smelling like biscuits, which is why I tend to opt for wash off tanners mostly. 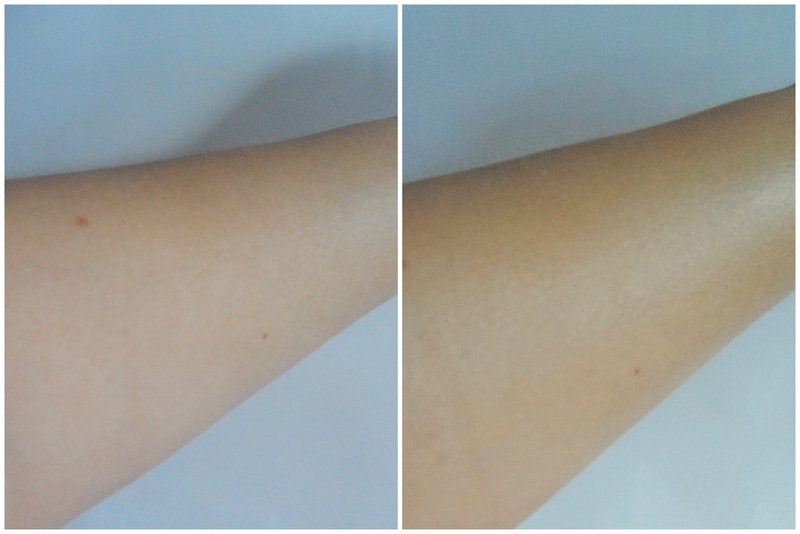 When I was offered the chance to try the new Model Co tan range, I opted straight for their lazy girls' wash off product - One night tan, and this is it. As you can see, it's a mousse in a spray can, so seriously easy to use. You just pump out a blob of mousse and work it into your skin. The mousse went further than I expected - the egg sized blob pictured here was plenty for the whole of both of my arms, and it sank in easily without streaking. It's a fairly light and subtle tan as you can see in my before and after pics (before on the left, after on the right) but you could easily add another layer if you wanted a more noticeable effect. 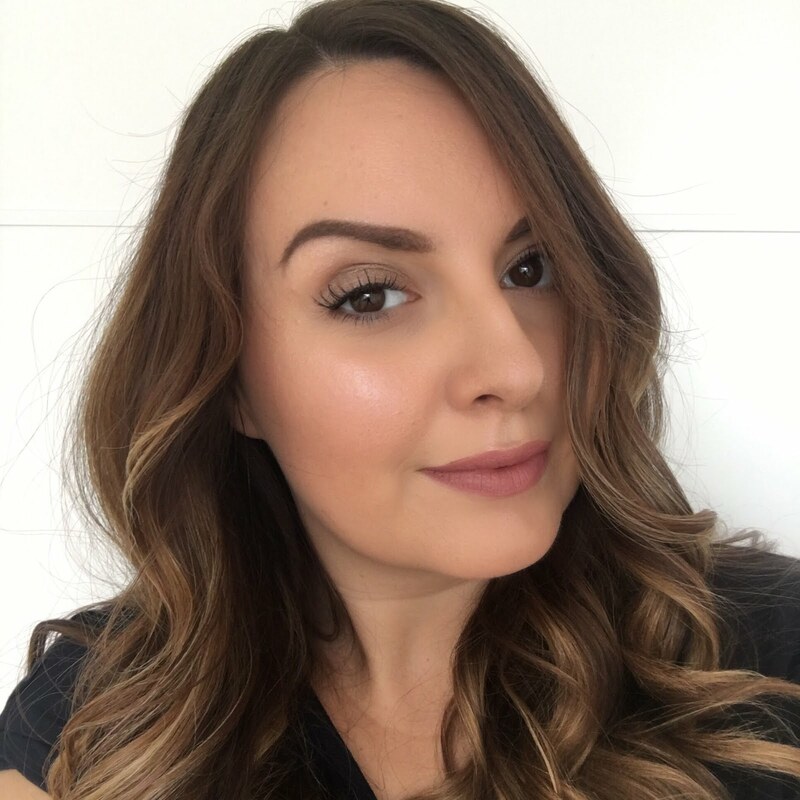 As it's April and raining, I thought I'd keep it natural and believable with just the one layer and I really liked the glow the product gave me. It's not a stinky tan product - it smells of cocoa butter, but it's not overpowering, so I hardly noticed it at all once on my skin. It did turn my palms a deep shade of brown, but as it's a wash off product, it was easy to get that off with some hand wash. Possibly next time I'd try applying it with a tanning mitt to make the application easier and mess free. The next day the product washed off easily in the shower with no extra scrubbing needed. Nice and easy, just how I like it because I'm lazy! You can buy the Model Co tanning range from Boots. I tried the One Night Tan in the mini 65g size which costs £12, but you can also get a 150g size for £24. Am I the only one who's never been on a sunbed or do you reach for a tan in a can too? Wow it looks really effective from the before and after pictures! If it works as good as that, definitely justifiable pricetag! This looks amazing....such a natural colour after one application!